After our servicemen are deployed, so many come home to discover a strained marriage and children they barely know. I can’t imagine how tough that must be, not only for them but for their families. 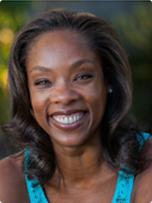 That is why I love posts like this one from HWC contributor, Kathryn Sneed. Posts like this that help strengthen our military families so once they’ve returned from fighting to protect our freedoms, they are able to truly live a life of peace. So if you know a military wife, share this post with them. They’ll thank you for it. Until tomorrow…make it great day! Over the years, I have learned a lot of lessons about military life and marriage. 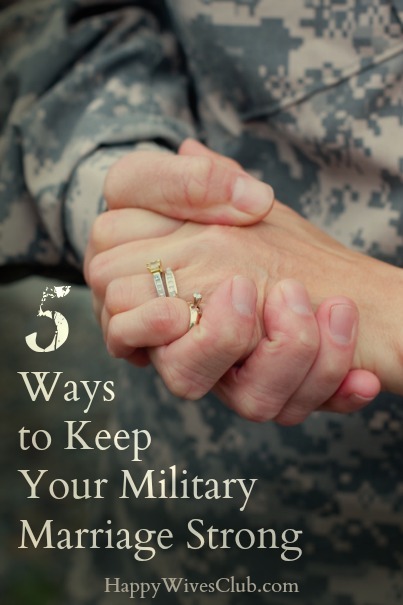 Keeping my marriage strong has been important to me because I know that although the military lifestyle can be tough, marriage is still our responsibility and there are plenty of things I can do to help keep it strong! 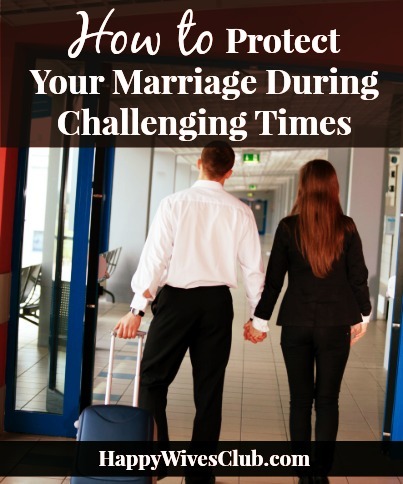 Below are ways I have learned that have helped strengthen our marriage through the tough times, and separations, and I believe they can help keep your military marriage strong too! You’ve probably heard before that communication is the key to any relationship, and that is so true! Communication is especially important in a military marriage because of how stressful the lifestyle can be. If you are not talking things out with your spouse, you are keeping it all in and eventually it will hurt your relationship. Communicate honestly, your feelings about the lifestyle, the job, the mission, and even deployment. Yes, sometimes there are things your spouse may not be able to tell you about the job or the mission, and that’s okay. But with effective communication, you and your spouse will still be able to talk through important things about your family and about your marriage. As a military spouse it can be very easy to see the difficult aspects of the military lifestyle. For a lot of military families, separation is big part of life and it can be easy to see each moment as less and less time until your spouse leaves again. 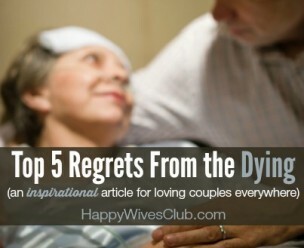 Instead of looking at it like that, learn to savor the moments you have with your spouse. Go on a date, take a vacation, do things you might not normally do together – just have fun! Focus on the good and appreciate the small things in your marriage and family. 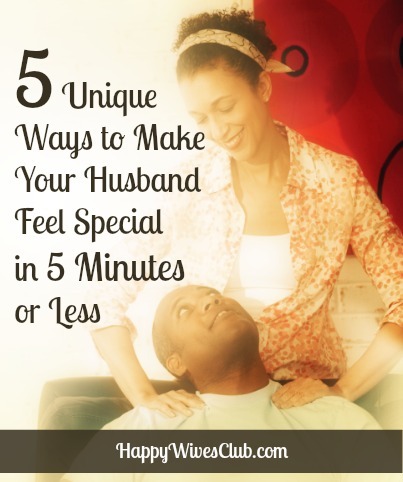 Then, when your spouse is away again, you will have these wonderful moments to look back on and remember. 3. Have Understanding and Patience. Understanding and patience are so important in a military marriage because of the toll the lifestyle can take on the military member and even the spouse. There will be days where your spouse may be having a bad day at work or maybe they have pulled away due to an upcoming deployment. These are times where understanding and patience are the keys to getting through each day. Being understanding will help lessen the tension between you and your spouse, and being patient will help both of you learn to get through each day and each tough time, step by step. 4. Talk and Laugh Often. If there is one thing I’ve learned as a military spouse it’s that I should never be too busy to laugh and talk with my husband. Time together is precious and sometimes laughter is few and far between, but that doesn’t mean that we shouldn’t take time out for it! It’s been said that laughter is the best medicine and I definitely agree. Sitting together talking and laughing is a great way to strengthen your relationship and it’s definitely something you won’t regret! 5. Make the Best of Time Apart. Time apart from your spouse is usually inevitable in the military, but learning to make the best of that time is going to help the separation go much easier. Instead of pulling away during this time, use it to grow closer to your spouse and learn more about them. Make the best of these separations, by having a good attitude, setting some goals to accomplish during this time, and learning to encourage each other through it.